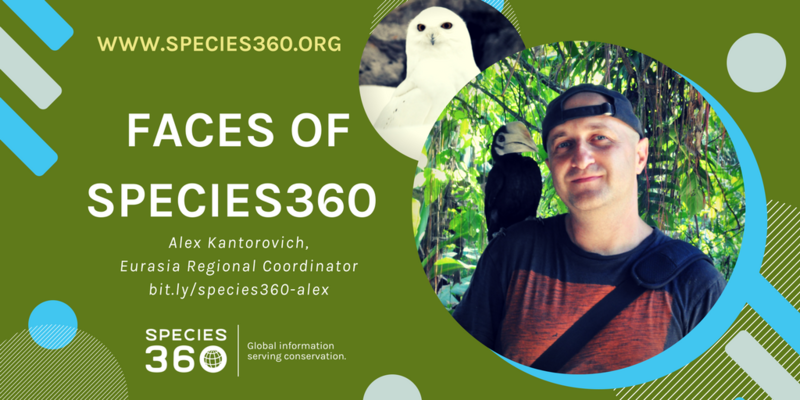 Our next Faces of Species360 introduction is Regional Coordinator, Alex Kantorovich. He has been a fan of zoos since his childhood and is also an excellent photographer. For Zoo Lovers Day (April 8), he shares his love of zoos and one of his photographs from Moscow Zoo with us. I have been a big fan of zoos ever since my childhood, but one question has always bothered me. As time passes, most of what I have seen is forgotten. Fortunately, computers and the Internet entered the scene. That gave me the opportunity to capture everything that I saw in the form of a website. This website is an expression of my emotions as well as a tool to find like-minded people among zoo fans. Being a zoo employee myself, I am also interested in the comments and reactions of colleagues. 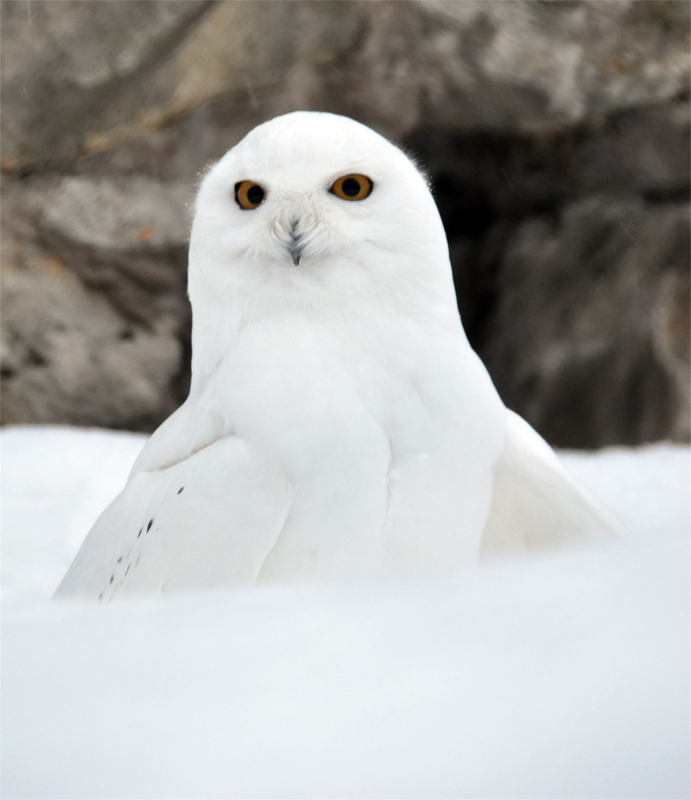 Snowy owls, also known as Artic owls or great white owls, are typically present in zoos. Native to Artic regions in Eurasia and North America, they are active during the day, unlike most owls. Older males can be almost all white, while females and juveniles can have some dark specks in their plumage. Snowy owls usually mate for life and live in pairs. So if you put an additional bird with a pair of owls, they will try to kill it as being an unnecessary competitor. For many years the snowy owl pair in Moscow Zoo has successfully hatched and raised chicks. The pair fed the chicks themselves without any help from the zoo staff. There are 12 snowy owls in Moscow zoo, according to ZIMS. Alex Kantorovich is the Species360 Regional Coordinator for EARAZA (Eurasian Regional Association of Zoos and Aquariums). In his role as Regional Coordinator, he works closely with the EARAZA Executive Office to deliver ZIMS animal management training and support to institutions across the region. He is fluent in Russian and brings over a decade of zoological collection planning and management experience working as a zookeeper. He also serves as curator of Hai Park Kiryat Motzkin and ZIMS administrator at both Hai Park and Haifa Zoo, Israel. His favorite hobby is his work. He likes everything connected to zoos – visiting zoos, photographing in zoos, and managing his website about zoos he has visited www.zooinstitutes.com. His favorite animal is the rhinoceros (all species of rhino). EARAZA (Eurasian Regional Association of Zoos and Aquariums) is a Species360 association partner. Their aim is to coordinate efforts to improve zoo activities and development of productive relationships for the conservation and breeding of wild animals: birds, mammals, fishes, reptiles, insects, and other taxa. The main objectives of the Association are: to build close relationships and professionalism across the membership base through scientific meetings, conferences, and seminars on important developments in the zoological community; and to develop and implement the Association’s breeding programs for endangered species and reintroductions back into the wild. Zoo Lovers Day is celebrated April 8 of every year. It’s a great time of the year to think about taking your family to visit your local zoo or help them out by signing up to volunteer. You could also help to organize a fund-raiser or ask a local business to become a Species360 sponsor. Sponsor funds are used to help the larger zoo and aquarium community. Sometimes this means helping a deserving zoo in a developing region become a Species360 member. Like Species360, most zoos and aquariums are nonprofits running on limited budgets. So, they would be very grateful to have the support of zoo lover fans!